PST Lawns artificial grass offers the perfect solution for commercial spaces. The versatility of our artificial grass products means that we can cater for a broad range of uses whether it’s for indoor or outdoor use, branding or large events and functions. We can instantly transform any space including sports clubs, beer gardens, hotels, exhibition zones as well as corporate indoor ‘chill-out’ areas. We always love new ideas here at PST Lawns so whatever you have in mind for a corporate green area give us a shout, we’d love to hear from you. 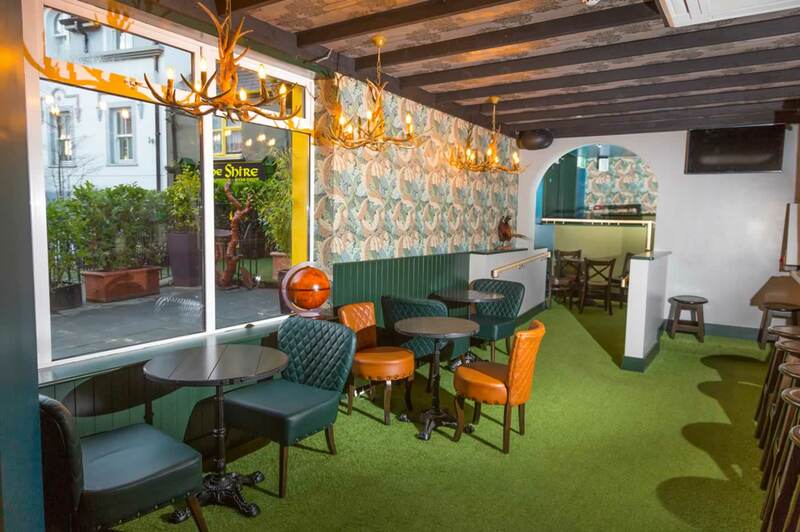 We were delighted to install our EVERlast artificial grass at The Shire in Killarney, Co Kerry, the world’s only Lord Of The Rings themed pub. EVERlast creates a vibrant, durable and versatile surface making it the perfect choice for commercial spaces like this. Below is another recently completed project at Benners Hotel in Tralee, Co. Kerry. For the inside area we used our 28mm TRU Grass. For the outside beer garden the client opted for our 38mm LUSH Green artificial grass. Pictured below: Our EVERlast artificial grass is the perfect choice for indoor and outdoor exhibition areas. 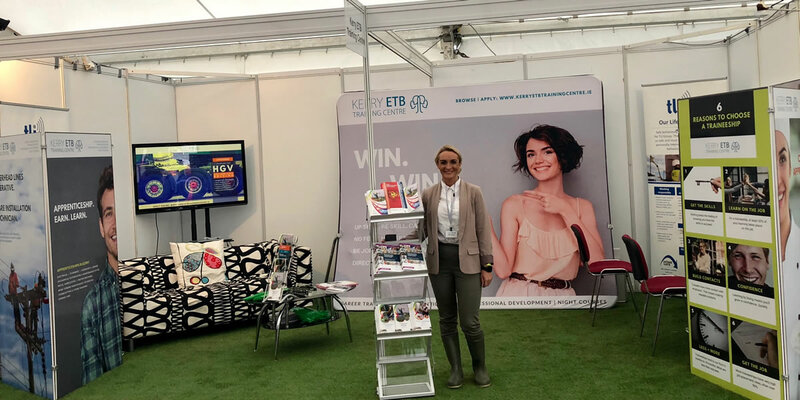 Looks great at the Kerry ETB Training Centre stand at the 2018 National Ploughing Championships. Tara O’Halloran, Beauty Therapy Instructor is delighted with the result. Shown below are examples of artificial grass we installed in the bar at Connacht Rugby Club and at GW Hockey in Dundrum. Would your company like a designated ‘green area’? Contact us today for a quote.